Over the last few months, we’ve had our eyes trained on a rising star in the hair industry—Los Angeles–based hairstylist Carly Walters. We’re banking on Walters becoming the next big name in hair, and to accelerate her rise to the top, we partnered with TRESemmé to send her to work her first-ever runway show at New York Fashion Week. To arm her with everything she needs to know on The Road to #TRESNYFW, we introduced Walters to four TRESemmé stylists who will mentor her, collaborate with her on a hairstyle (that you voted for on Instagram), and share tricks of the trade for getting through such a high-pressure, high-energy work environment. Be sure to check back for regular updates on Carly’s journey, and enjoy the ride! In terms of hairstyles, braids are an undisputed favorite. Maybe it’s because they have a certain wistful nostalgia about them—a throwback to our younger selves’ go-to style. (There was nothing cooler than going to school with two French braids.) Or maybe it’s simply because there are so many ways to wear them. Take the countless hours we’ve spent perusing braids on Pinterest as proof. Whatever the underlying reason, we’re turning to trusted TRESemmé stylist Justine Marjan. “One of the most important skills a stylist can have is versatility,” she explains. “Being versatile and able to stay cool under pressure are skills that make a stylist a pro.” It takes practice, but it’s something she knows Walters will only improve on while on her journey. And this edgy, braided topknot (which Marjan came up with after polling our IG followers) is the perfect place to start. "Nothing’s worse than starting a hairstyle with frizz,” says Walters, and Marjan agrees. 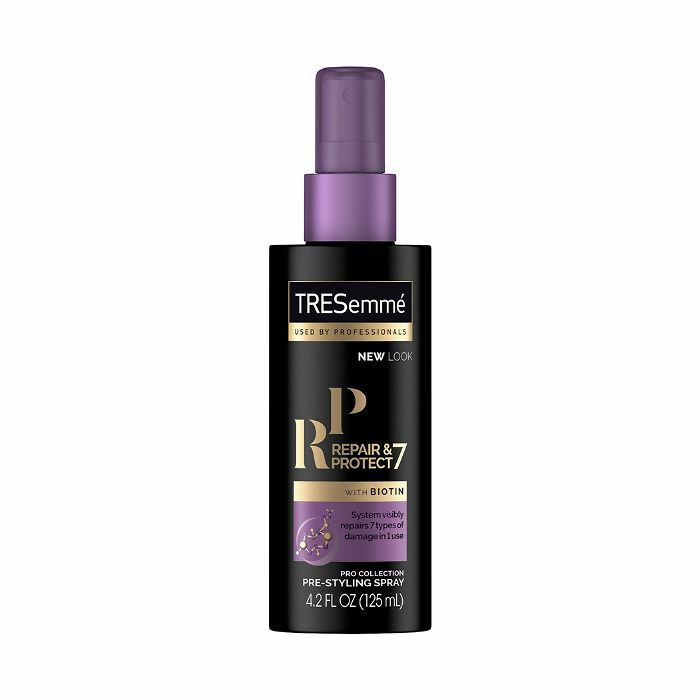 “I love TRESemmé Repair and Protect Spray ($5), because it gives a great foundation to the hair while hydrating, detangling, and preventing frizz.” Start by spritzing a generous amount on damp strands, making sure to cover the hair from roots to tips. After prepping the hair, it’s time to blow dry. “You want to blow-dry the roots toward where the topknot will sit. The roots will look smoother, and it’s easier to style," explains Marjan. Once complete, section off and clip up any hair that won’t be included in the braid. This step looks harder than it actually is—mostly because it’s being executed upside-down. But flipping your head over will give you an ultra-tight braid, says Marjan. Once flipped over, use the hair that isn’t clipped to create an inside-out braid (aka a dutch braid) starting at the nape of the neck and working your way up. A Dutch braid is executed the same way as a French braid, except you cross the strands under instead of over. Once you get to the ends, secure with an elastic. Also note that using smaller sections of hair will garner a tighter, more sleek braid. Next, remove the elastic from the sectioned-off hair, and join it with the end of the braid, brushing everything up into a ponytail. Then knot the ends into a bun. “Knotting it gives it an edgier finish than twisting it,” says Walters. Wrap hair in a spiral around the base of the ponytail, tucking the ends in and securing with pins as needed. Once you have the perfect ’do it’s time to make sure it lasts. 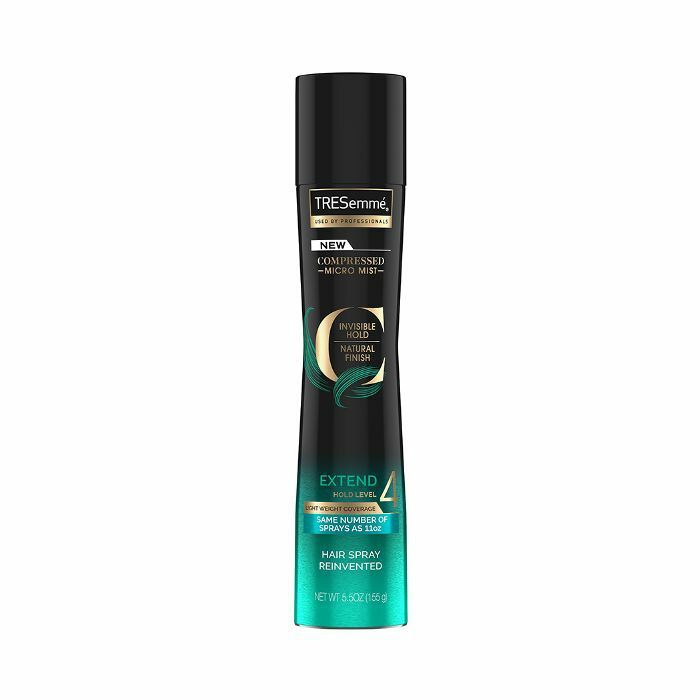 “I always finish my updos with TRESemmé Compressed Micro Mist Level 4 Hair Spray ($5), because it gives lots of hold without stiffness,” says Marjan. Spritz lightly over the entire style and you’re good to go. Want more hair advice? Stay tuned as more TRESemmé stylists offer up their tips and tricks for Carly to master on The Road to #TRESNYFW.